According to White House Legislative Affairs Director Marc Short, the CBO is currently scoring two Senate Obamacare replacement plans. Actually, they are the same plan but one bill includes an Amendment put forth by Sen. Mike Lee and Sen. Ted Cruz. Importantly, the Cruz-Lee Amendment is backed by the White House. The Consumer Choice Amendment, as it is called, would allow health insurance companies to sell plans that exclude the “essential” health benefits mandated by the ACA. This would allow folks to leave things like maternity care or mental health off their plans, should they choose. These “essential” benefits are probably the primary thing running up the cost of premiums. There is no need for every family in America to have maternity insurance. Why would an unmarried man want that? Why would a 70 year old woman need it? Critics of the Cruz-Lee Amendment recognize the damage this silver bullet amendment could do to Obamacare as a whole. Freedom in health insurance is something liberals can’t abide. They want a one-sized-fits-all approach. This is the only way they can offer subsidized insurance to so many Americans while also providing Medicaid to millions more. Consumers are smart with their dollars. They will gravitate toward plans that are right for them. Health insurance companies would be tempted to stop selling ACA plans altogether once the marketplace favored these plans. To quiet critics from the moderate wing of the Republican Party, Cruz and Lee cleverly added on a requirement that every insurance company still offer at least one ACA plan, before creating cheaper plans that meet consumer’s needs. That certainly isn’t totally a free marketplace idea, but in this post-ACA environment conservatives must take what we can get. In either case, it’s a smart political move. This measure would be impossible for Republican Party’s right wing to pass up. While Majority Leader McConnell may have been short nine votes on Friday, this White House backed measure has a very good chance of closing the deal with the Senate bill’s most vocal critic Rand Paul (KY), as well as other conservatives who have remained quiet: Tim Scott (SC), Tom Cotton (AR), John Kennedy (LA) and Ben Sasse (NE). McConnell can afford to lose two votes, with VP Mike Pence waiting in the wings to break a tie. Dean Heller (NV) will probably have to vote against the repeal, no matter what. Republicans have to accept this, as Nevada is a true purple state that needs to be retained by Heller in 2018 if Republicans want to strengthen control in the Senate. Susan Collins (ME) is an avowed moderate and this will push her further away. It may push away a couple other moderates, but McConnell can likely sway them with funding for Opioid Treatment and other spending measures. 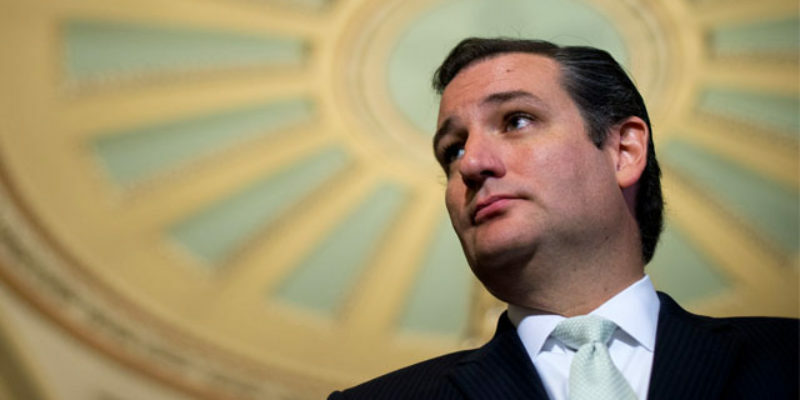 Now into the final two years of his first term, Ted Cruz has grown. It is no ordinary event that McConnell has allowed the Cruz-Lee Amendment to get this far and the President has backed it. It may just be the silver bullet that lets the market kill Obamacare.